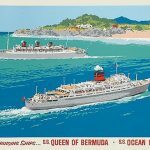 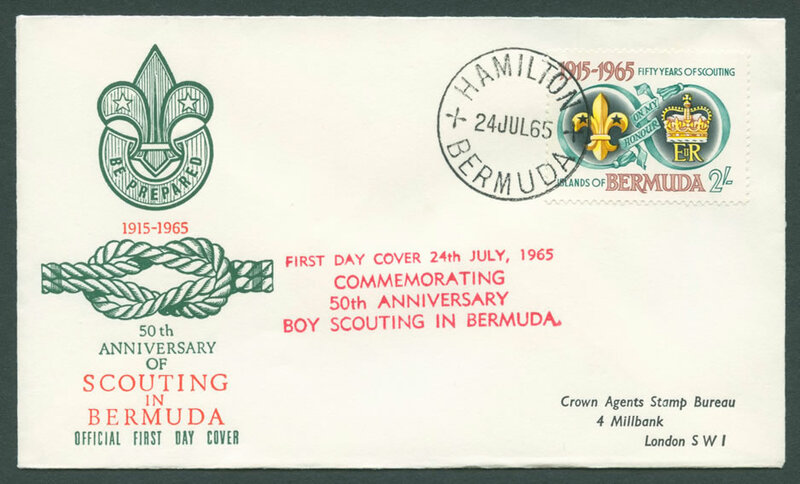 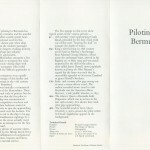 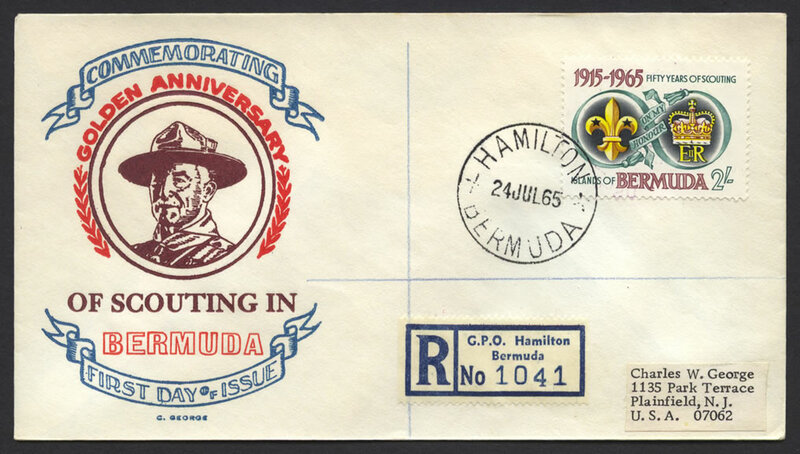 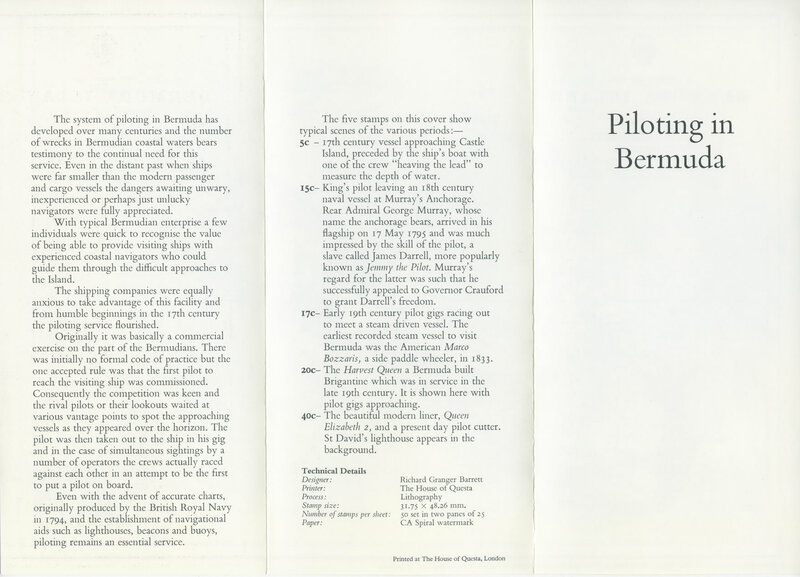 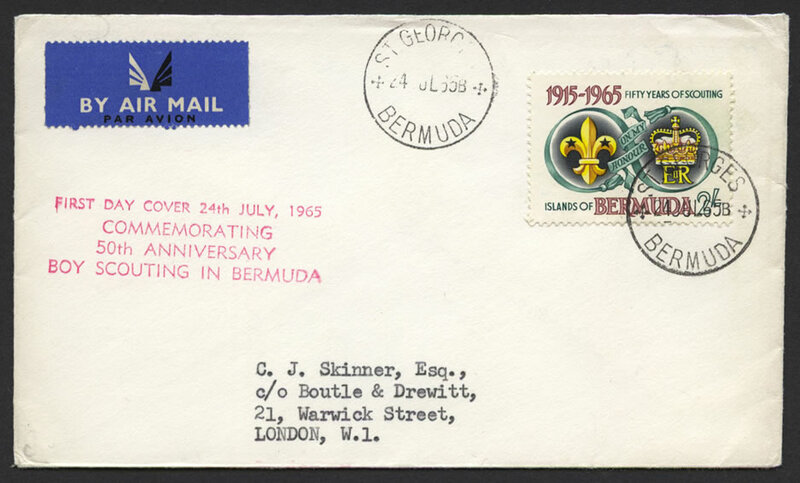 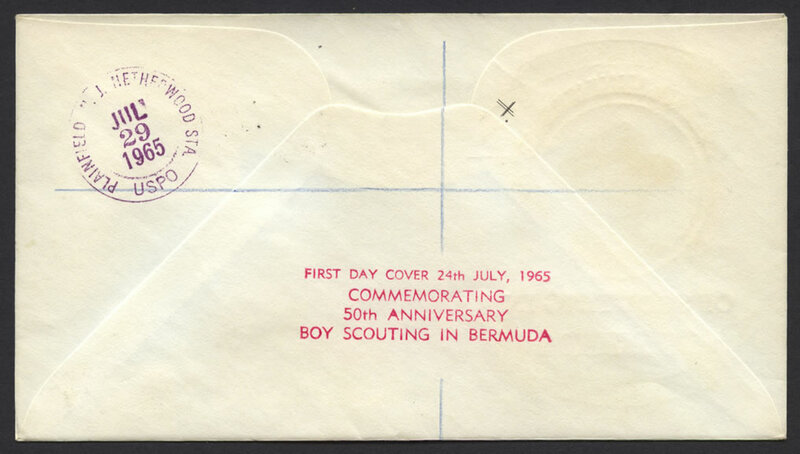 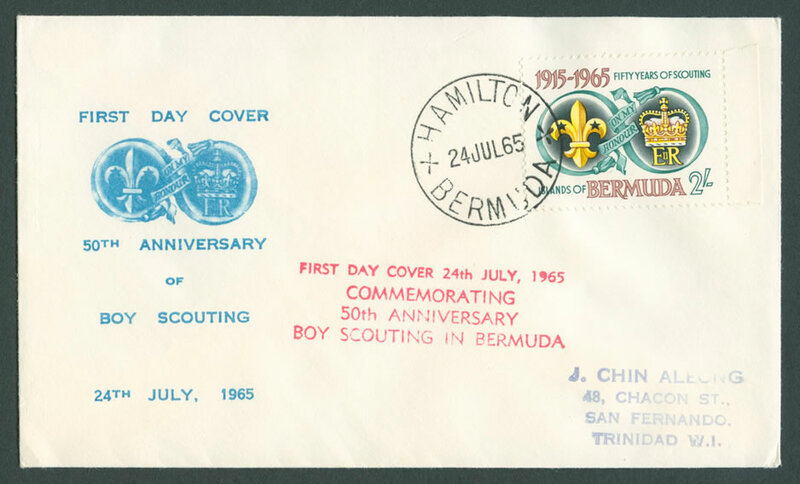 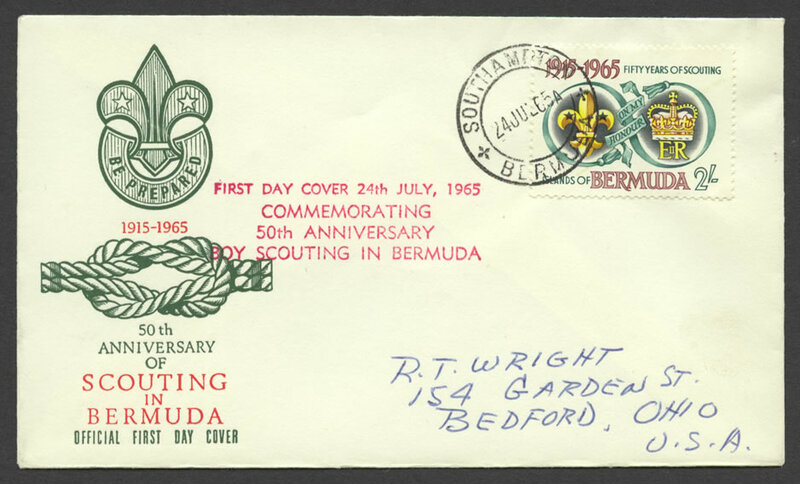 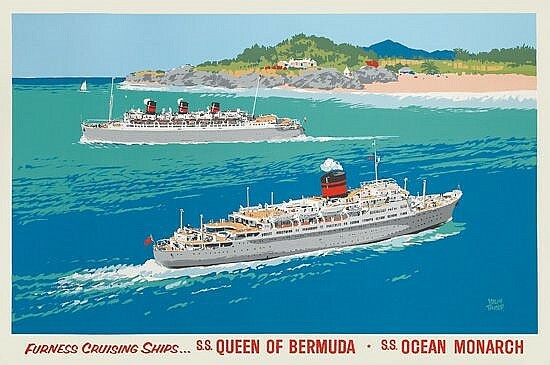 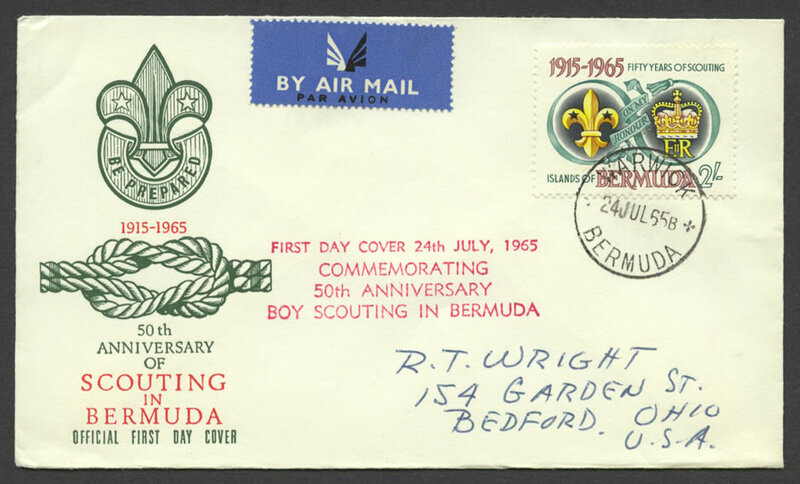 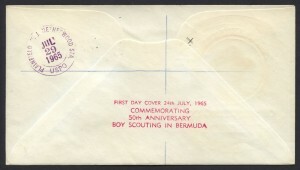 Cachet: FIRST DAY COVER 24th July, 1965 COMMEMORATING 50th ANNIVERSARY BOY SCOUTING IN BERMUDA. 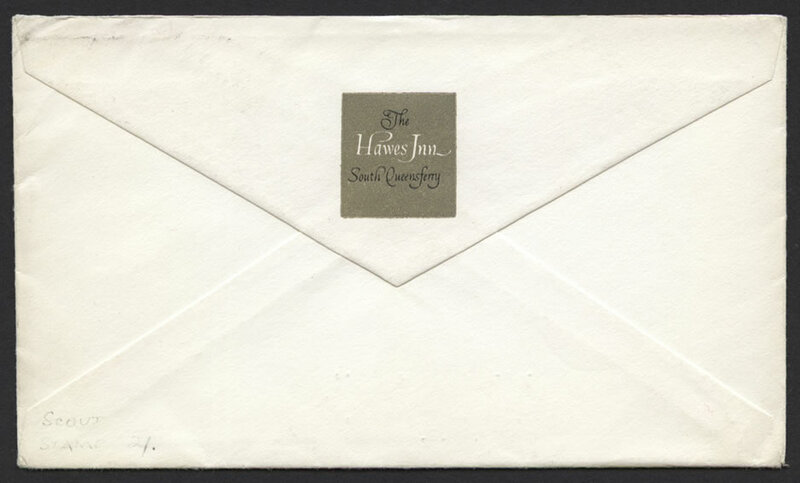 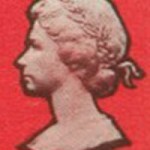 Address: H.D. 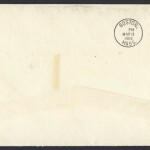 Tucker, Esq., Brown’s Town, Jamaica W.I. 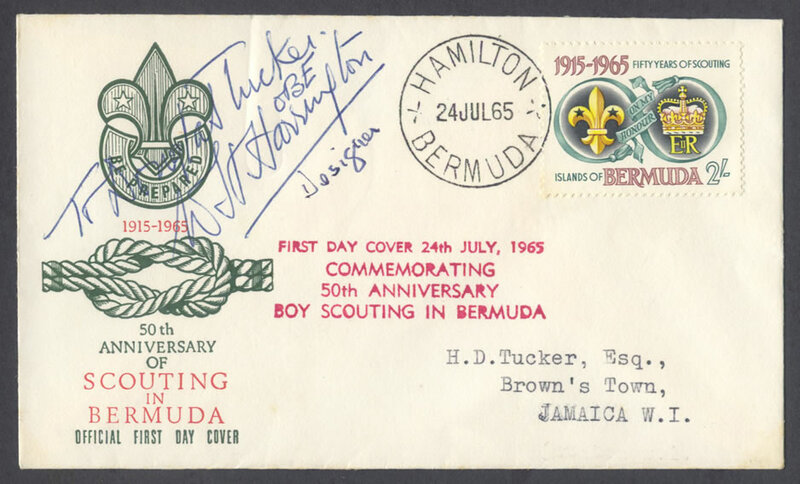 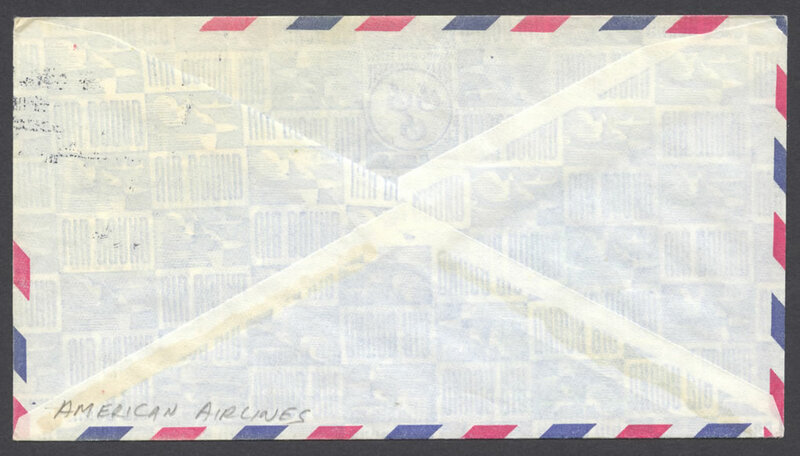 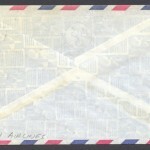 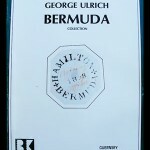 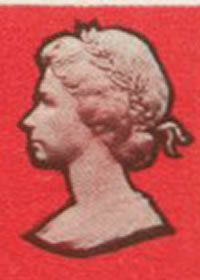 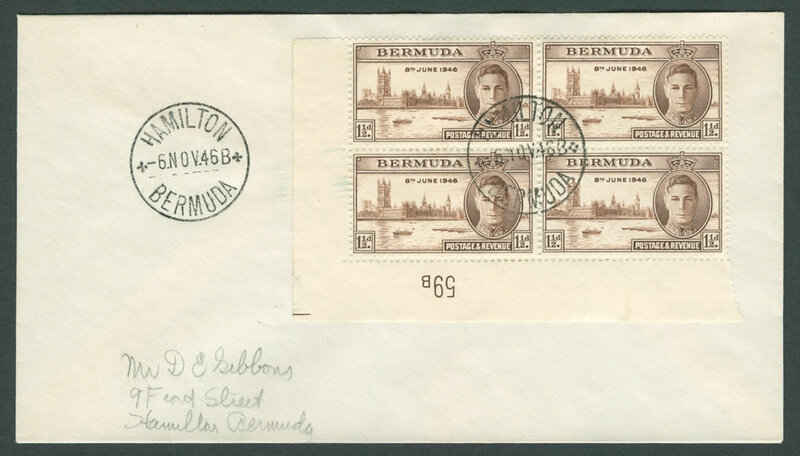 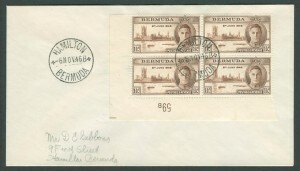 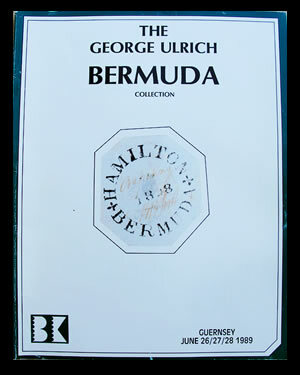 CDS: HAMILTON BERMUDA 24JUL65 Reverse: JULY 29 1965 PLAINFIELD N. J. NETHERWOOD STA.